So what are the best ab exercises? In the previous part to the 10 most effective ab exercises, we've mentioned four exercises so far, and three of the four exercises does not even target the ab muscles directly. Yet we listed them first because of their effectiveness for developing strength, lean muscle mass, and stimulating a metabolic response. All this leads to a better fat burning workout that will make it easier for you to lose body fat, and burn off the stubborn belly fat. As we've already said, doing large amounts of ab specific exercises will NOT help you get 6 pack abs, but rather, getting your 6 pack abs to show requires a low enough body fat - a point missed by many. Below we'll continue our list of the top 10 best ab exercises for both men and women, and it's worth mentioning here that these ab exercises work equally well for both men and women. 5. Front squats - look at that, another compound exercise that doesn't really target the abs directly; however, we include it in the top 10 best ab exercises since this squat exercises requires exceptional stabilization strength from your abs due to the placement of the weights in front of your shoulders. This shifts the weight from behind you to in front of you. 6. Bicycles - no, not riding bicycles, but perform bicycle crunches. One of the most effective and best ab exercises that directly targets the ab muscles is the bicycle crunch. While it will not get rid of fat from your belly, it does directly target your abs and obliques, and it does so very effectively. 7. Among the top 10 best ab exercises, mountain climbers would have be listed as one. It not only works your mid section, but it is one of those exercises that involve multiple muscle groups, and it will give you a fantastic cardio workout as well. This is really a full body exercise, that also places great amount of stress on your abs. 8. High intensity, interval rowing - performed on a rowing machine. You're probably saying to yourself "Gee, that's really a cardio exercise!" True! Rows really is a cardio exercise, but I include it in here simply because it is absolutely one of the BEST cardio exercises that not ONLY gives you a fantastic cardio workout, it also gives you a fantastic full body resistance workout as well. It uses almost every single muscle group in your body including your arms, shoulders, back, abs, glutes, legs, and calves. 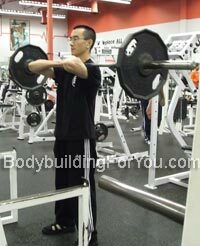 Perform rows with high intensity using intervals, and you're going to feel the burn. 9. Renegade dumbbell rows is another excellent ab exercise that comes highly recommend by Mike Geary - fitness guru and author "Truth About Six Pack Abs". This exercise is performed in a pushup position while holding 2 dumbbells. 10. Exercise ball crunches is another excellent exercise to workout the abs. What makes this crunch so much more effective than other crunches on the floor is the level of stabilization that is required to perform this exercise. Because this exercise is performed on the exercise ball, an additional element of stabilization is added to the movement. There you have it, top 10 most effective and best ab exercises to help you get 6 pack abs. The exercises on this list includes exercises that do not specifically target your abs such as squats, deadlifts, and rows; however the combination of these excellent compound exercises will work your entire body, stimulate a metabolic response, and allow you to achieve a better fat burning workout - after all, to get your 6 pack abs to show, your ultimate goal is to lower your body fat, and reduce the amount of belly fat you have. Among these top 10 best ab exercises are also several excellent exercises that target your ab muscles directly - notice that the basic crunch is not on this list. 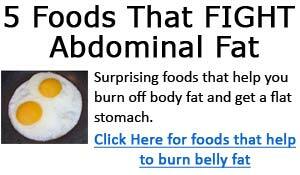 Mike Geary is the "Abs Guru" that has the entire solution to getting rid of abdominal fat. 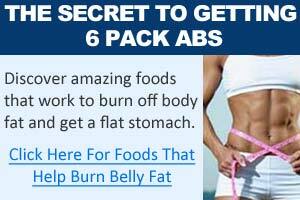 All of the nutritional strategies, as well as training sequences, exercise combinations, and more have all been compiled in his Truth About Six Pack Abs Program. While his program effectively helps you get rid of abdominal fat, very small portion of the program is actually about abdominal exercises. The main point of this program is showing you the absolute most effective strategies for losing your stubborn abdominal fat, so you can get 6 pack abs.